We are delighted to announce the winner of our Young Budding Baker of the Year competition, selected from thousands of Budding Bakers from all over the UK. Florrie Smith, from the South East, baked off hot competition to scoop the glittering prize – a trip to Cornwall to visit us at St Just and to help develop a new bake to sell across all of our stores in the UK. Florrie, will also meet celebrated author and Waitrose columnist Martha Collison, receive a year’s supply of bakes and be enrolled on a baking course at a local cookery school. This is the first time we have run the competition, which was open to 16-18 year olds in the seven UK regions where our stores are located with nominations opening in May. Five gifted teenagers exhibited their baking talent on the day through a display of imaginative baking whilst tackling all three challenges presented to them on the day. They were: Talia Cohen (South West), Sara Holly Grabham (London), Florrie Smith (South East), Claudia Edyvean (South West) and Alfie Joliffe (South). Our event took place at Nisbet’s National Catering Equipment Centre in Bristol on Thursday 9th August and was hosted by our Head Baker Jason Jobling, who has been with us for an incredible 26 years. Jason is truly a master of his craft, and along with co-judge Dean Starling, Brand Sales Development Chef for the National Catering Equipment Centre, were looking for the young baker who demonstrated the ideal combination of technical and creative flair. The first part of the day saw the contestants show their Baking Wizardry. A technical baking task was revealed to the young bakers, asking them to make and bake a plaited bread and was designed to test their skill whilst being judged on flavour, appearance and texture. Then came the pasty challenge: Jason demonstrated the art of crimping Traditional Cornish Pasties, after which it was over to the finalists to create and bake their own signature pasty (sweet or savoury). The result was judged on the quality of the idea, flavours and that all-important crimp. Flavours included Marmite and cheese, curried cauliflower and apple and cinnamon with a side of Cornish clotted cream. The final task invited the contestants to get creative, by transforming a sponge cake into the amazing centrepiece of a special occasion – whether a birthday, wedding, graduation or any other event. Jason and Dean were looking for an excellent finish, exciting flavours and skillful technique, but most of all, this was a showcase for each finalist’s unique personality. It was here the contestants really amazed the judges with multiple tiered wedding cakes, exploding chocolate cakes and, from the winner Florrie, a rainbow cake representing recent Pride events around the UK. 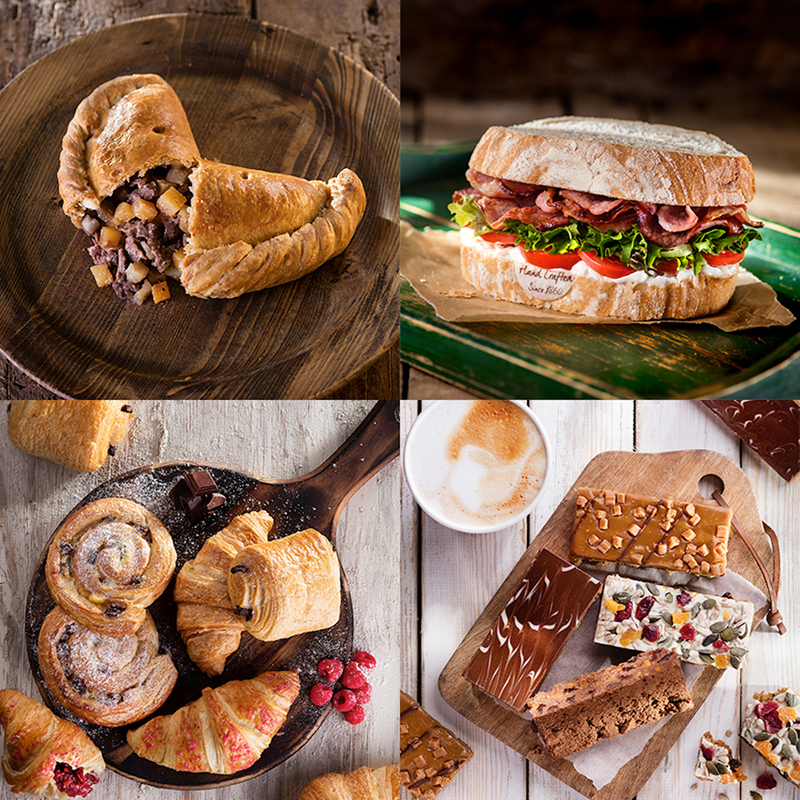 Find your nearest store to try one of our handcrafted cakes, bakes and breads yourself today by clicking here.